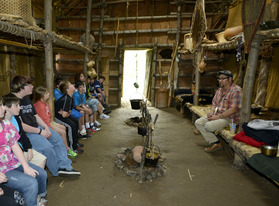 More than 120 state parks and historic sites are participating in the seventh annual Parks & Trails NY and New York State Parks I Love My Park Day on Saturday, May 5. Join your friends, family and neighbors and sign up today to volunteer at your favorite state park or site. From beach clean-ups to trail restoration and tree and flower plantings, hundreds of events are planned to spruce up our parks and get them ready for the summer season. Make a difference at the parks you love, and register today to volunteer! Governor Andrew M. Cuomo recently announced New York's system of state parks, historic sites, campgrounds, and trails welcomed 71.5 million estimated visitors in 2017. This milestone marks seven years of steady visitor growth and represents an overall increase of 23 percent, or 13.6 million visitors since 2011. Despite inclement weather over the busiest summer months, New York State Parks saw an increase from 70.6 million in 2016 to 71.5 million in 2017. 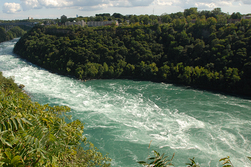 A variety of factors likely contributed to the increase, including trail improvements, new and improved playgrounds, thousands of acres of new parkland, the opening of Hallock State Park on Long Island, the transformation at Buffalo Harbor State Park, and the introduction of the new family sharing Empire Pass. Read more. The New York Park and Trail Partnership Program is providing $450,000 in state grants to 21 organizations dedicated to the stewardship and promotion of New York State parks, historic sites and public lands. These dedicated “Friends” groups raise private funds for capital projects, perform maintenance tasks, provide educational programming, and promote public use through hosting special events, and the grants will help them make an even stronger contribution to the stewardship of New York's great outdoor spaces. 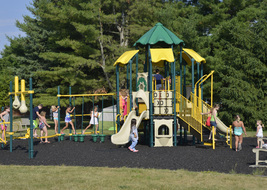 The state grants will be matched by nearly $200,000 in private and local funding. 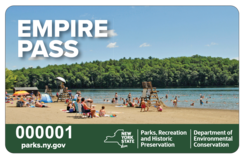 The grants funded through the Environmental Protection Fund are administered by the State Parks and Parks & Trails New York, a statewide non-profit group. Learn more. 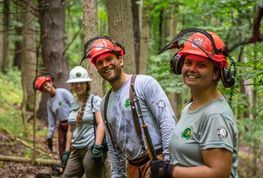 The Student Conservation Association is now accepting applications for the New York State Excelsior Conservation Corps (ECC). Young adults, ages 18-25 who live in or attended school in New York and veterans, ages 18-28 (no NY affiliation needed) can apply for positions working in some of the most beautiful and treasured sites across New York State. The 6-month service positions begin June 25, 2018, and applications will be accepted right up until the start of the program. ECC members live and work in state parks, historic sites and public lands. Housing and meals are provided, as well as no-cost health insurance and a $180/week stipend. Members also receive a post-service Segal Education Award of $2,907.50 for 6-month service. Applications are available online at www.ny.gov/ECC. For any additional questions about the program, please contact ECCrecruiting@thesca.org. How long have you been with the agency? This is my eleventh year with Parks. What does someone in your position do? 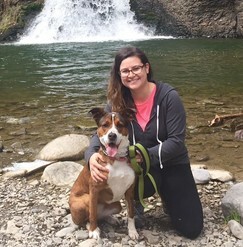 As the Camping Coordinator, I’m the first point of contact for anything related to our expansive camping system so I work closely with park staff and the public. As a camper myself, it allows me to connect and relate to any comments or concerns that our patrons have. What’s the coolest thing you’ve ever seen or done? 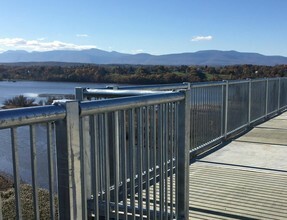 During a site visit to the Taconic Region campgrounds, we enjoyed a guided tour of the nearby Walkway Over the Hudson. What a view! Is there a destination in the park/region you’d recommend to someone? I’d recommend the Finger Lakes Region. Taughannock Falls is one of my absolute favorites, and hiking the gorge trail at Watkins Glen is amazing. What inspired you to work in the park system? My love for the outdoors! I started here as a seasonal and it’s been a natural fit ever since. I feel very lucky. Two dozen specially trained sawyers from 12 different state parks across New York jumped in to lend a hand to New York City after it was pummeled by a pair of Nor’easters in early March. 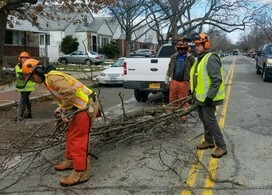 The specially trained sawyers spent two days helping clear trees, hanging limbs and woody debris caused by the March 2 and 7 storms from streets and neighborhoods in Queens and Staten Island. State Park sawyers complete a multi-level internationally recognized logger course, known as “The Game of Logging” – a course developed in Sweden to teach students safety and precision in using chainsaws for logging and storm recovery work. The State Park crews were deployed through the State Emergency Operations Center, which was activated by Governor Cuomo in advance of the storm. The State Emergency Operations Center coordinates preparations and response among state agencies and local governments during major storms and emergencies. Learn more about the crews.